Check out the first single from the new album Great North Wind, and get your tickets to the release party at 3S Artspace in Portsmouth, NH, June 15, 2019. Martin England & the Reconstructed stand atop collective experience of thousands of live performances and nearly two dozen studio recordings. 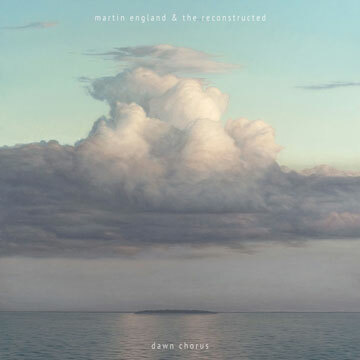 With Dawn Chorus, England and his band have crafted an album in the spirit of traditional long playing records; individual songs set together as a cohesive statement, each inviting you into the next in a way that you barely realize, and suddenly you've consumed the whole thing. It is a complete art piece, thematically consistent in it's patience, pace and maturity.